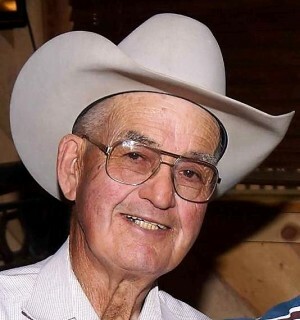 Heaven gained a true cowboy on Thursday, October 25, 2018. A.R. Buster Webb, 77, passed away peacefully at his home in Bloomfield, on the original Sullivan homestead. He was born August 12, 1941, in Shiprock, New Mexico, to Tam and Betty (Sullivan) Webb. Buster led an adventuresome life, graduating from Bloomfield High School’s very first graduating class in 1959. He then ventured to Fort Lewis College in Durango, Colorado, where he played center for their collegiate football team. For a brief period he worked in construction, including the scenic Royal Gorge Bridge. But his passion was always rodeo. In the summer of 1967, he and his beloved wife, Barbara, began W/A Rodeo’s. He followed his true passion in the rodeo and western way of life owning and operating W/A Rodeo’s for 51 years. Known for his quality rodeo livestock and rodeo productions, Buster was a mainstay in the rodeo business. He loved his livestock and prided himself on taking excellent care of them. He knew their personalities and they were family, in his eyes. His livestock awards and professional accolades are long but highlighted by his 2015 induction to the Senior Pro Rodeo Hall of Fame and as a Heritage Award Recipient for the New Mexico Rodeo Hall of Champions. Buster also loved his family and we loved him. We will forever remember his wry sense of humor, the eternal smell of cigars while standing tall in stature as a man of impeccable character. He was preceded in death in 2004, by Barbara S. Webb, his wife of 41 years. Survived by daughters: Suzanne Webb Anarde of Fowler, Colorado and Lisa Webb (Donny Wilkinson) of Bloomfield, New Mexico; and grandchildren, Avery Cousins (Rock), Syracuse, KS; Austin Major, Fowler, CO; Alexa Major (CD Wilcox), Hobbs, NM; and Breanne Buchner, Fowler, CO. He touched the lives of so many while two of his best friends the world could ask for, Benny Smith and Danny Sullivan, were there with him to the final day. We stopped at immediate family, as the list of family and family of friends is endless. Services will be held at 11:00 a.m., Friday, November 2, 2018, at the First Baptist Church of Bloomfield at 200 W. Sycamore, Bloomfield NM 87413. Lisa and Suzanne have asked you come in any variance of blue as Dad generally felt black always got dirty too quick and gave away your hand as an outlaw. Of course, cigars are welcome—outside the church! In lieu of flowers, the family requests donations to the New Mexico Rodeo Hall of Champions--Heritage Fund, PO Box 22, Quemado, NM 87829. Buster’s care has been entrusted to Farmington Funeral Home, 2111 W. Apache St. For those who wish to express their condolences can do so at www.farmingtonfuneral.com.